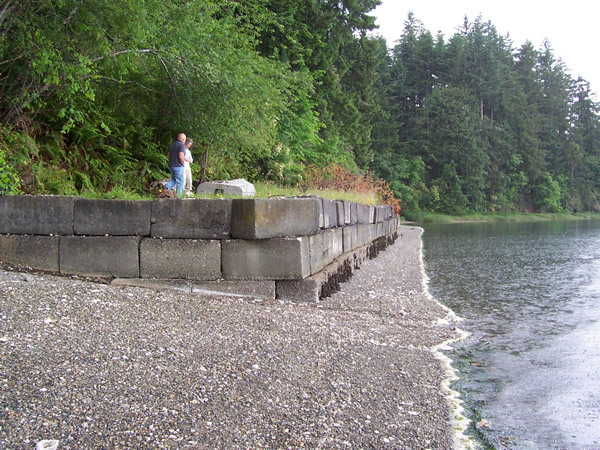 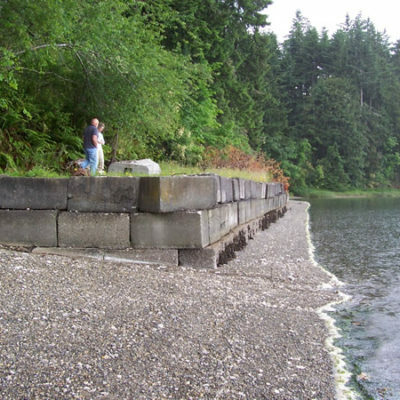 Frye Cove, a small bay in Eld Inlet, will be the site of two SPSSEG projects this summer. First, with additional funding from the U.S. 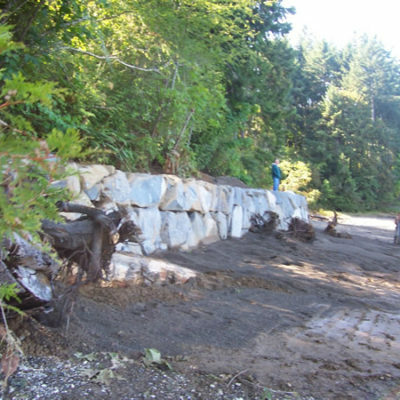 Fish and Wildlife Service (USFWS), the National Fish and Wildlife Foundation (NFWF), Salmon Recovery Funding Board (SRFB), and Department of Ecology (DOE), a large bulkhead that juts into the tideland was set back to the toe of the bluff and softened with large wood and boulders. 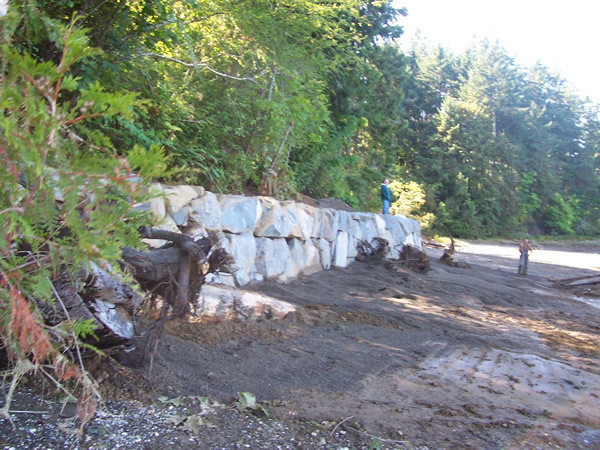 Second, a failed bulkhead constructed of angular rock will be removed from the beach at Frye Cove Park. 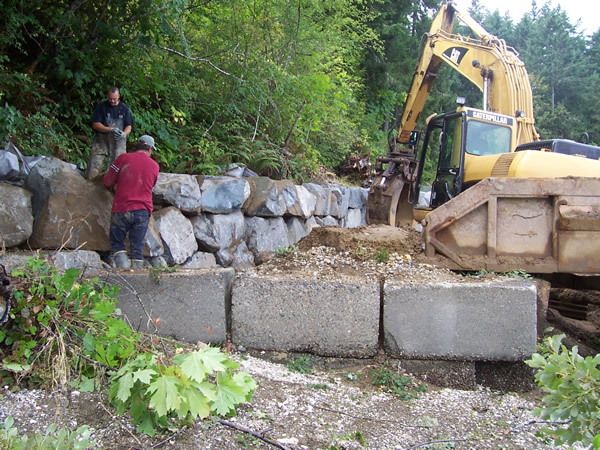 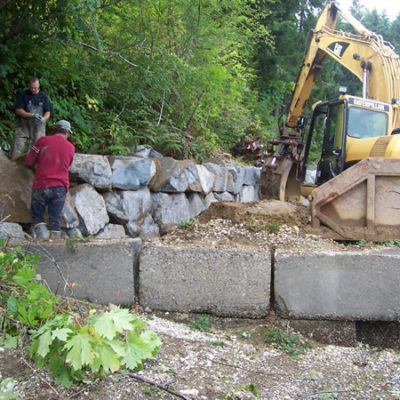 These two projects, in concert with a previous SPSSEG culvert replacement project on Frye Cove Creek will improve the overall habitat value of the Cove for Chinook and other salmon.